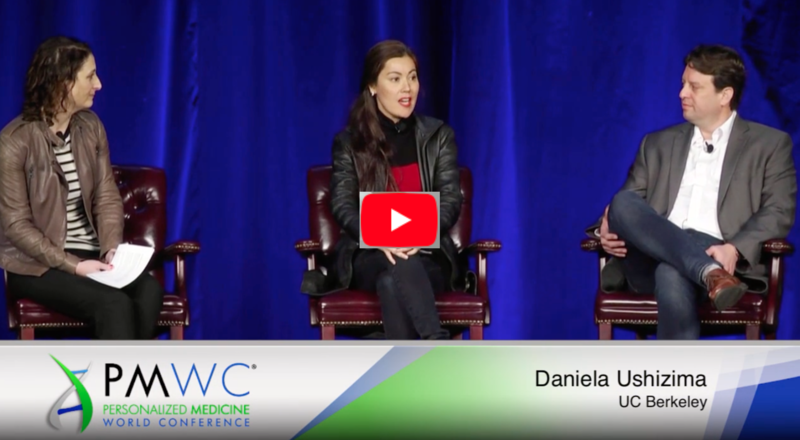 As a computer vision expert and long-term UCSF collaborator, I was invited to be a speaker on the Precision Imaging for Prediction panel, one of the opening acts at last week’s Precision Medicine World Conference (PMWC) 2019, which took place at the Santa Clara Convention Center in Silicon Valley on January 20-23. My session featured a panel discussion on the pivotal role that imaging plays in the diagnosis, assessment, treatment, and prognosis of many cancers. Due to the increasing importance of imaging in the diagnosis, pathology staging, treatment response assessment, and the prognosis of many cancers, the session focused on how precision imaging has assisted in decision-making and prediction, and offered new perspectives on computer vision application across Precision Medicine. In particular, I described how deep learning systems, such as pyCBIR, are applied to digital pathology, including multimodal data fusion computational schemes developed in my collaboration with the Grinberg laboratory at UCSF Memory and Aging Center. The panel was led by Lizzie Dorfman (Google AI), program management lead for the genomics team at Google Brain, who uses technology and AI to positively transform healthcare, public health and biomedical research. Dorfman discussed Google research on ocular fundus for retinopathy analysis. Another insightful participant was Dekel Gelbman, CEO of FDNA, who leads the corporate and business strategy of a digital health company that develops artificial intelligence technologies and SaaS platforms used by thousands of clinical, research, and lab sites globally in the clinical genomics space. Gelbman showed new gold standards of care using neural networks that can connect phenotype to genotype patterns and allow the screening of genetic diseases that lead to facial side effects. During the four days of meetings and sessions, one of the most impressive events was the awards ceremony, where I had the opportunity to meet many fascinating and dynamic researchers involved in precision medicine. Awarded researchers ranged from seasoned medical doctors (e.g. George D. Yancopoulos, and Carl June) to young professors (e.g. Feng Zhang) but also included an activist mother Sharon Terry, who became a world-known researcher while looking for a cure for her child. She’s an incredibly inspiring person who works to provide ordinary people the tools to take charge of their health and to further biomedical research. Thanks to Associate Director of Precision Medicine at UCSF, India Barnard, I was introduced to Feng Zhang, a kind and very young MIT professor already in the National Academy of Sciences for his unique contribution to optogenetics, a biological technique that uses light to control cells in living tissue, e.g. neurons. The awarded scientists shared their perspectives and the hopes of speeding up diagnostics and finding new treatments for common and rare diseases by combining diverse research areas, such as biological engineering, genetics, data science, and machine learning, putting the “patient at the center”.